Happy Monday everyone! Let's kick off the week by welcoming in a whole bunch of newbies to the W+K fold. This is Ben, our fab new Planning Director. Joining us from Saatchi’s, Ben has made a ton of really interesting work for a ton of great brands. He led the thinking on brilliant, multi-discipline campaigns for the likes of Nintendo, Toyota, BBC 6 Music, Uniqlo, and Selfridges. He was also the brains behind E4's famous Skins campaigns. Interesting fact – he’s a Leeds fan. 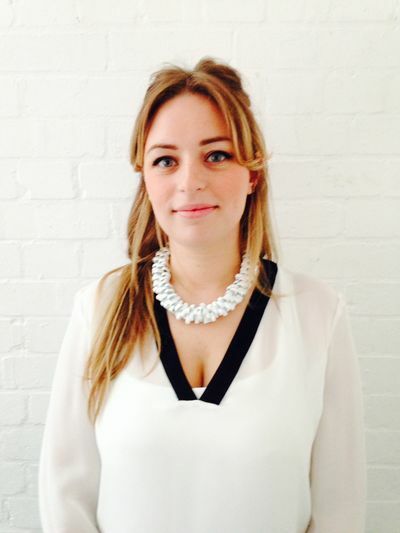 Frankie Purvis joins us from BMB where she spent 4 years working on everything from tights (Pretty Polly), tech (Microsoft), trains (East Coast), cheese (Dairylea) and chips (McCain). 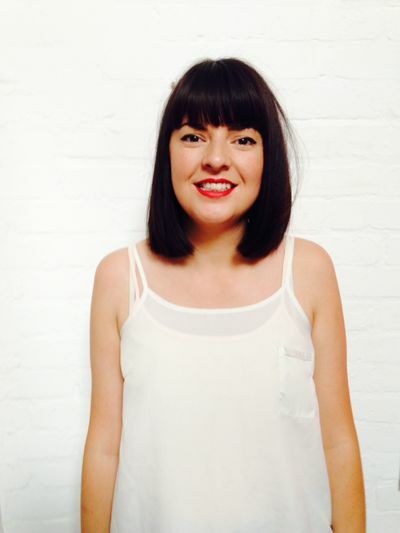 She’s jumping aboard the good ship W+K as an Account Director. Apparently she has a terrible taste in music, so we look forward to hearing her playlist around the agency shortly. 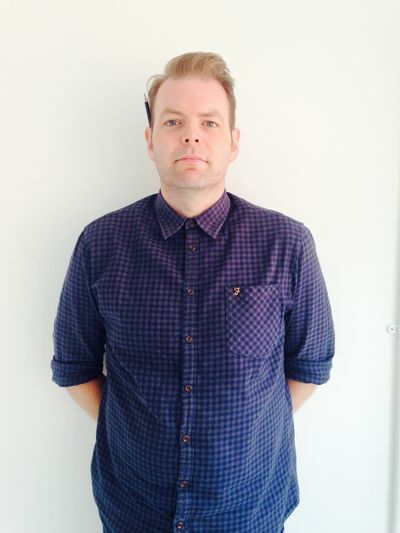 Hot on the heels of Frankie is Nicolas Jayr who has joined as a new AM on 'Team Nike'. 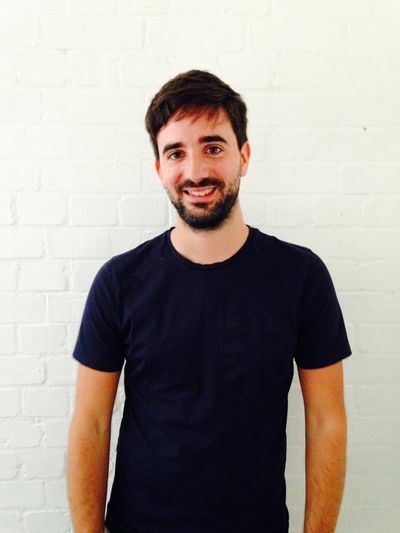 Nic Jayr joins us from BBH where he spent 4 years working as an Account Manager on Google, Johnnie Walker and ASOS. Nic's from France and lived in Barcelona for 3 years and is a huge FC Barcelona fan. Bonjour Nic! And finally, for now, Kimberley Hammond. She’s slotting into our fabulous PA department as a creative assistant. Some fun facts: during her Fine Art degree she spent most of her three years painting fried eggs, she’s obsessed with shiny paint and she’s grade 6 on the piano but can’t play a note. He followed someone into our Wilkes Street office yesterday and was caught on video. 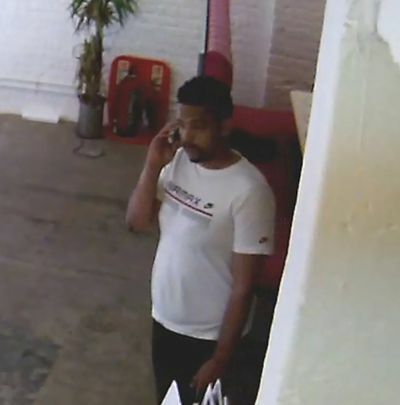 One of our laptops was stolen from the desk shown below at exactly the time this man gained entry to the office and, judging from the video footage below, it looks like this gentleman may be able to help the police with enquiries in connection with the theft. He comes into the building, tailgating someone who has unlocked the door, and sits by the door, apparently to case the joint. First of all he checks out the laptop by the window but that's secured and not easily removable. At around 1.10 he goes over to one of our desks and, concealed by the pillar, seems to put something in his carrier bag. Then he makes a swift exit. When our staffer returned to the same desk a few minutes later, his laptop was missing. Clearly there are lessons here for us about our security measures, and this just shows how vigilant people need to be in any office open to the street. This guy may be local and known in the neighbourhood, so if anyone reading this recognises him, in his Nike Airmax T-shirt (how aggravating is that, given that Nike is a client), then we'd love to hear from you. If you have a business in the area you may want to watch out for him. And, if this is you in the video, and there's an innocent explanation for what you were doing in our office, then please let us know and of course we'll take down the video. Our resident Creative Researcher, Laura Barker, introduces the W+K fund she's resurrected in London. In Portland, back in the day, there used to be a prize called 'Slime Mold'. I have no idea what that even means. Sporadically people would submit creative ideas and a winner was chosen who then received some money towards something creative that they wanted to do. Here at W+K London, our lovely management team has deemed to resurrect this fund. The W+K London version is called the equally baffling ‘Spore Fund’. So every month we invite the whole agency to submit an idea or creative project that has NOTHING to do with work. The winner is announced at our monthly agency meeting. Katie Anne Harrison’s saucy snapchat lookbook. Katie put the money towards a project she was working on with a small independent lingerie brand ‘Miss Crofton’, and released a lookbook for the brands new collection exclusively via snap chat. And Ollie Wolf’s directorial dreams in his film ‘At Dawn’. It’s been great to see these projects bought to life with a little help from the W+K purse. Watch this space and we’ll keep you updated on what our talented bunch gets up to next. 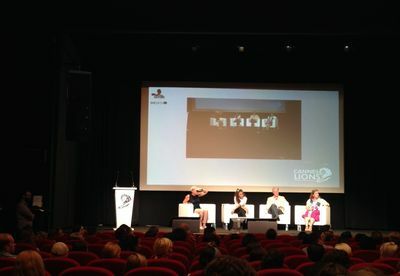 Our week at Cannes was rounded off on a nice metallic note, with a grand total of eight Lions. Following Monday’s Creative Effectiveness Lion for Lurpak Weave Your Magic, Saturday’s Film and Film Craft ceremony saw two more campaigns pick up awards. Honda Hands won a silver Lion for visual effects and sound design in Film Craft, and a bronze for corporate image in Film. It’s equally nice to know that we played a part in the UK’s overall success in the Film Craft category. Collectively, UK agencies picked up 17 Film Craft Lions, over half of those they were shortlisted for. 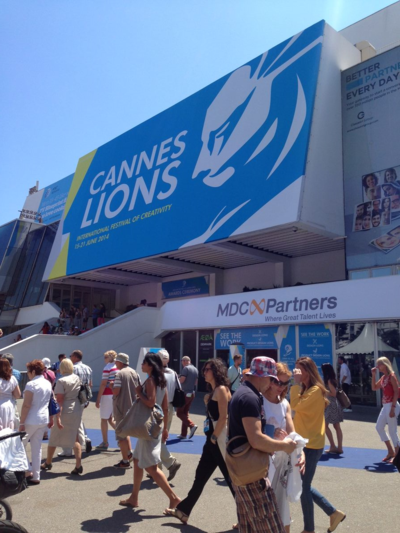 Following Wieden+Kennedy London’s Creative Effectiveness Lion for Lurpak’s Weave Your Magic at Cannes International Festival of Creativity last Monday, two more Wieden+Kennedy campaigns were awarded several Lions each across two juries. 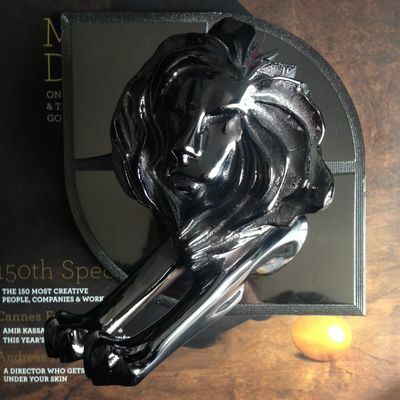 Lurpak's Adventure Awaits won three Gold Lions for direction, cinematography and sound design in the Film Craft jury, and a bronze Lion for savoury foods in film. Honda's Hands was awarded a silver Lion for visual effects and sound design in Film Craft, and a bronze for corporate image in Film. 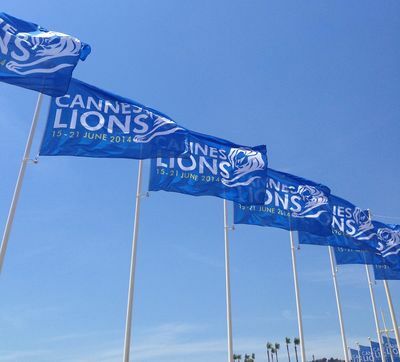 Click here for more on UK agencies' success in the Film Craft Lions. When Neil Christie, MD of Wieden and Kennedy, was asked to speak at ProcureCon Marketing, a conference aimed at procurement professionals, our Finance Director Bronwen Hemming thought it was a great opportunity to go and listen to what those Procurement types were really saying about our Industry and Agency compensation models. It got off to a shaky start when the first speaker, talking about “Developing open relationships with creative agencies for a win-win mindset”, recounted a story in which he was extremely pleased to report that the incumbent global agency had won a re-pitch. My instant thought was, why put an agency through that if you have an open relationship? To drive the price down by the threat of losing the business is the reason that came to mind. Not exactly win-win. But then something startling happened. It began gently with a great working example where a procurement team, in a large retail business, deployed a new asset management system that focused on reducing POS wastage. Now that’s a sensible way to save costs. Do less and maximise its potential. Nice one. 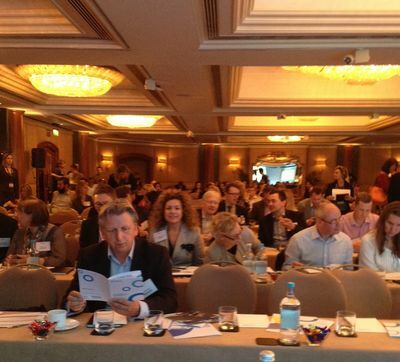 Then talk by talk, it started gaining momentum – measuring and maximising value. This is where you, the budding procurement professional need to step up and up-skill. Stop focusing on cost reduction and work out how to improve Marketing ROI. The speech by Gerry Preece, former P&G Global Procurement Director, was really quite inspiring and echoed what we agency folk have been thinking for many years. Your spend with us is an Investment, not a cost. You need to work with us as a partner, not a supplier. Basing your procurement KPIs cost savings is not going to get you to the best work. Your KPI metrics should be based on measuring and maximising value. Gerry was so passionate about this, he even had a new job title for everyone in the room. Stop calling yourself Marketing Procurement Manager and start calling yourself Marketing Investment Manager. I almost stood up and applauded at that point. It felt like a sea change. 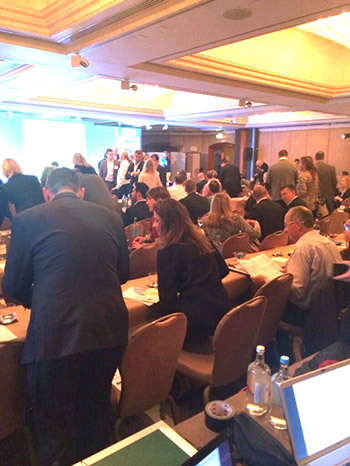 Is this really where procurement is now finally headed? Will I be engaged in conversations now about the value of outputs, instead of continually justifying rate cards and being asked to knock off a few bob, so procurement can hit their savings KPIs? But how do you measure “value”? This is where things became a little unclear. Payment By Results (PBR) mechanisms were the keen favourite remuneration mechanic, dividing into subjective (evaluation of agency performance) and objective (sales, share, tracking) measures. It definitely helps to define success and have a clear sense of shared accountability for activity. However, from my experience, it is often hard to isolate the effect of advertising on sales and commercial goals, leading to protracted negotiations and excessively complex schemes. It can actually end up being demotivating for agencies – PFA showed that only 1/3 of agencies on PBR schemes earned even 50% of their maximum PBR entitlement. As Neil Christie mentioned in his speech “I’ve had a client openly tell me, in a year where he agreed we had smashed the targets, “We can’t pay you 100% or you’ll have no incentive to improve next year.” If large sums of money are at stake, there can be an incentive for marketers to ‘save’ by marking down agency performance. From an agency viewpoint, it often feels like agencies are the only ones carrying the risk in these remuneration models, especially when we have agreed to risk some of our margin to the PBR scheme. If they are truly developed with a framework based on treating the Agency as a partner, to be able to share in rewards (above our normal margins), then let’s work harder together, Agencies, Marketing and Procurement to find fair and rewarding measurements on Value. So what else can procurement, or the newly appointed “Marketing Investment Manager” do to maximise the return on marketing spend? There were some frank suggestions from the Agency speakers: have a clear scope of work, come to us already aligned with your marketing department on strategy, look internally at your own processes in addition to focusing on agency efficiency/price reductions, be up front about what money you have to spend, have an understanding that cheap will not get you the best talent/value and lastly, let us work collaboratively to solve your business problems. After two days of procurement talks, it felt positive that there was a change from a pure cost reduction focus to investment and managing that investment. But, the reality is though, in that room of procurement professionals who all genuinely seemed to be supportive of this new focus, when a hands up poll was done of, “Are your KPIs based on savings targets?” the overwhelming response was still, “Yes”. It's been a busy few days at the Palais, with most chat revolving arout the goldmine awaiting brands in Brazil, wearable tech (yep, still) and the secrets to brand storytelling on mobile platforms (most of which seems to boil down to "tiny screen, huge potential"). Out on the roasting pavements of the Croisette, the rainbow of wristbands is starting to pile up and the rest of Soho is about to descend any minute now. So, with that in mind, today's post is going to a brief one. He's just as football mad as the next guy. 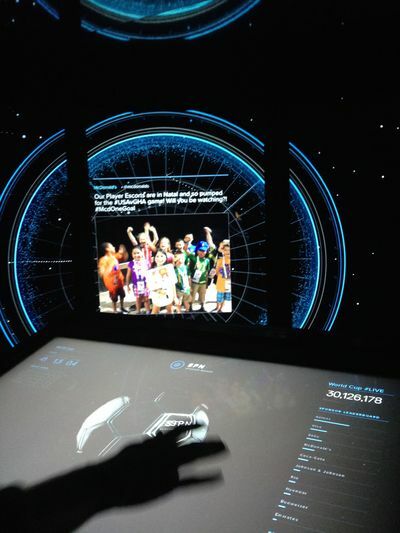 He even has a tricked out data room to prove it, created by the brains over at Twitter. Real time monitoring with a distinctly sci fi vibe. 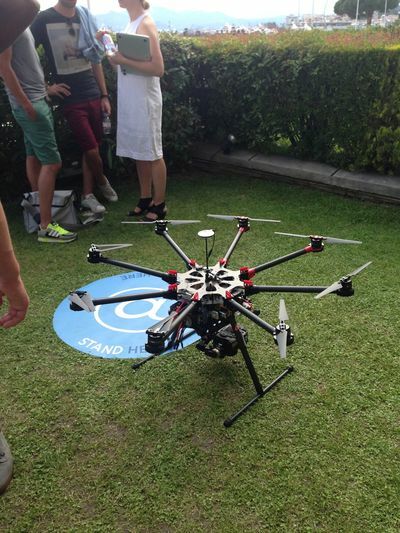 At the aforementioned Twitter event, a military drone pilot was brought in to fly a selfie-taking octocopter, due to a risky mix of emailing-whilst-walking punters and rosé-dazed lunchers. Technology will save us, but there's also a good chance it will decapitate us. There are more tote bags being dished out than a small country could make use of in a lifetime. One particular swag bag was filled with yet more (empty) swag bags, like a set of heavily sponsorsed nesting dolls. Let's think outside the beige bag, people. Kanye West isn't god, however much he wishes he was. But you'd be forgiven for thinking the messiah was here, with all the commotion. 5. 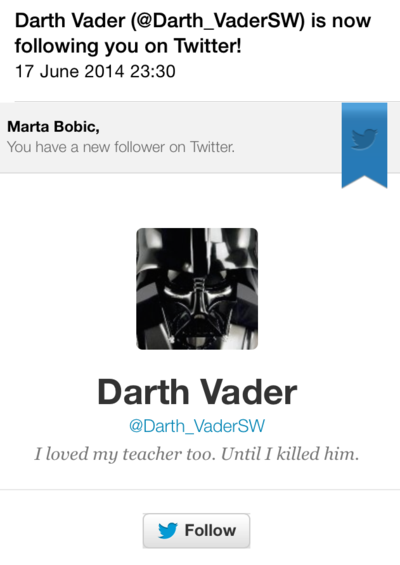 Darth Vader is a social whizz. And he's following me on Twitter. Uh oh. Already, after a day-and-a-half, I think I get Cannes. I'll admit, I was a little suspicious of what had been described to me as a "rosé-fuelled Soho-on-the-beach circus". 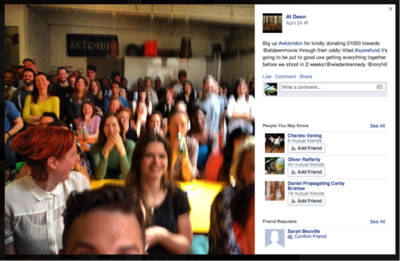 Why go all the way to France to mingle with our peers, when London is in the thick of the ad world? But, as soon as I rolled into the festival's namesake city in a decidedly unglamorous swamp-green people-mover, everything became clear. It's not about the headliners (The Hoff, Kanye) or the oneupmanship of party venues (yachts, bubble houses), it's exactly what it says on the tin: a festival of creativity. My background doesn't lie in traditional advertising. With that comes a certain degree of scepticism of an industry cloaked in clichés, but also an incurable curiosity about how the magic is made. I've always been in awe of those who use brand storytelling in a way that captures the imagination of millions of people, those who seem to have found the magic formula to creating inspiring work that leaves an indelible mark on culture. And here I am, surrounded by them, all decked out in linen, lanyards around their necks and branded tote bags in hand. It's impossible to remain sceptical. 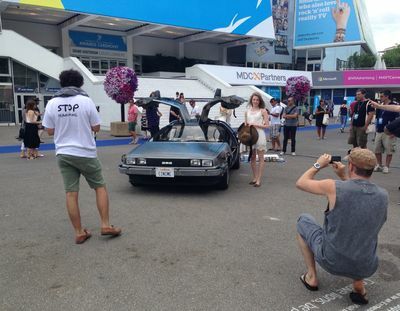 Most people back home think Cannes is just an awards show with a bit of hob-nobbing on the side to keep things sweet. In fact, there's a head-spinning week of official events for delegates to get stuck into, with over 200 speaker sessions, workshops and panels scheduled for the curious masses that flock here to learn what's new and what's next in our industry, and those wanting to get a little closer to nailing that magic formula. Add to that more fringe events than you can shake a pristine white yacht at, and you have an action packed festival that seems to make a lot more sense. The first panel I attended was "She Says – Why 80% of Your Advertising Budget is Currently Being Wasted" – a discussion led by Laura Jordan Bambach, President of D&AD and founder of She Says, with CEO of Havas, Russ Lidstone, founder of women's adventure wear brand Bowndling (and ex W+K planner) Collyn Ahart, and founder of the 3% conference, Kat Gordon, sharing the stage. With women accounting for upwards of 80% of all purchases in every consumer category (not to mention being early adopters of tech and drivers of social media) brands seem to be failing to speak to a demographic projected to control over 60% of the US wealth in less than a decade. Just imagine those numbers globally. When asked if they think advertisers understand them, a shocking 90% of these women say no. At the aforementioned parties, there's been a lot of chat about women in advertising. Not only about how brands speak to women, but what we as agencies can do to address issues facing women in the industry. If all that's been achieved is the start of a conversation about how we can change things, we've come a long way already, one day in. Oh, and doesn't hurt that on the first night, we took home a Creative Effectiveness award for a campaign we're incredibly proud of, Lurpak 'Weave Your Magic'.